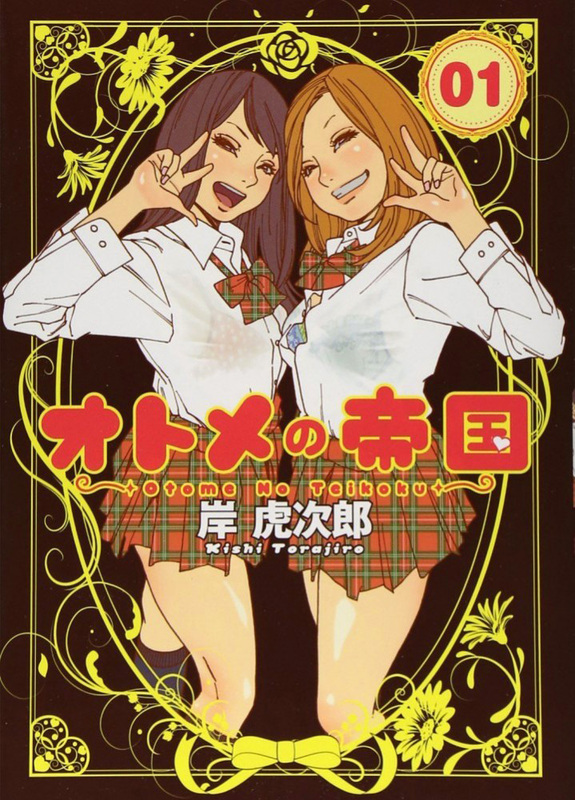 Posted on July 17, 2015 by Lena K.
It seems like we’re on something of a hot streak of good yuri news lately, and that streak continues with the news that Kishi Torajirou’s yuri comedy Otome no Teikoku is slated to get a “petit” anime adaptation. Any yuri manga getting an anime adaptation should be good news, but don’t get your hopes up too high however, as the advertisement in Grand Jump Web says the characters will “move for about six seconds”. That tidbit of information pours some cold water on everything—and how exactly that is going to work out is beyond me—but it should still be interesting to see how this adaptation turns out. How short “petit” is will be the key question going forward to determine if this’ll be anything more than a diversion, but let’s remain optimistic. Most other details are still scarce at this point, but a little light has been shed as to who’ll be working to bring this to reality. Mahou Shoujo Madoka Magica Movie 3: Rebellion‘s animation director is drawing the animation, Kishi Torajirou himself is handling the coloring, and a character designer from Dungeon ni Deai wo Motomeru no wa Machigatteiru Darou ka is contributing to the illustration as well. The promotional video is set to debut today, so be sure to keep a look out for that. This entry was posted in 2015, News and tagged Anime Adaptation, Otome no Teikoku by Lena K.. Bookmark the permalink. IS EPISODE OF 24 MINUTES ? Short or now, this is pretty damn great, I'm excited. Btw, Speaking of Yuri Manga to Anime Adaptions, here's another one greenlit for an adaption! Now that looks nice, though I wonder, is this really going to be yuri? More than likely this will be 3-5 minute shorts. Hopefully it'll be good like InuNeko was. For some reason, I don't think it will be as great.